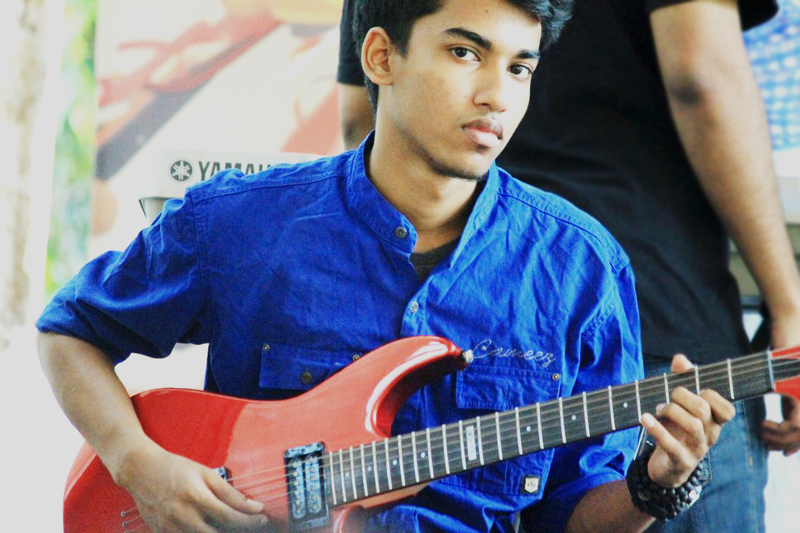 android – I dont know zilch ! This is the most safest and noob-friendly method to root your X8. Yes, I have tested this method on my own device and I did not soft-brick it in the process. 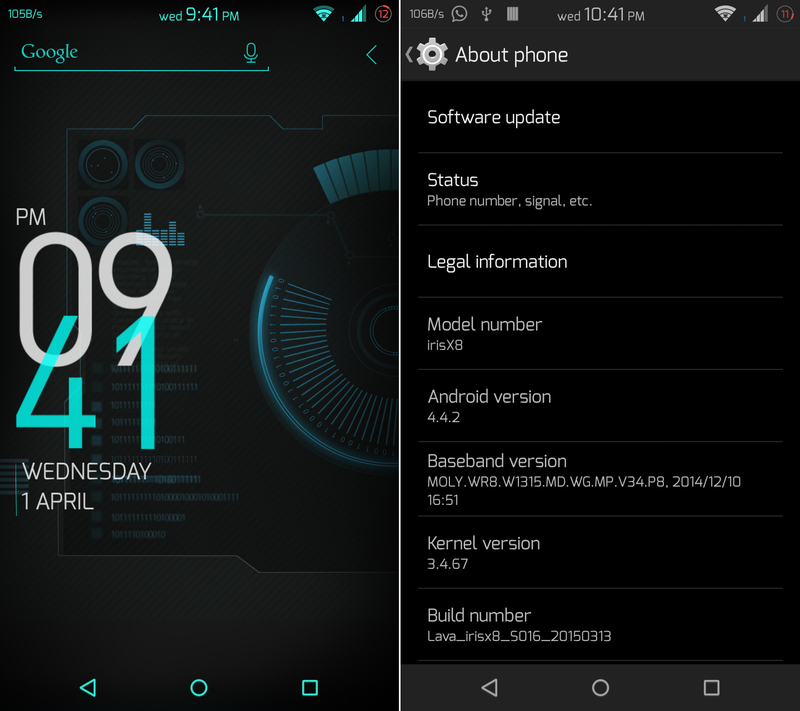 > Will I receive the official Lollipop update ( as promised by LAVA ) even after I root my X8 ? Yes, you will receive the update, but you’d probably lose root access after you install the update. But don’t worry, I will post a rooting tutorial right after the update is released. 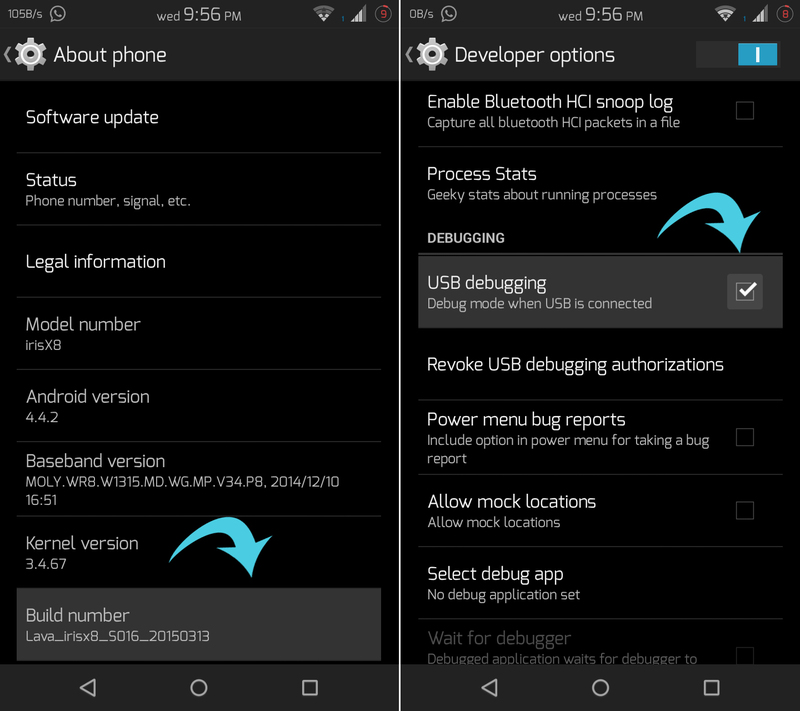 Goto Settings > About phone and keep tapping Build number until a toast message pops-up saying ” You are now a developer ” Now, go back to Settings and you will find a new entry Developer options, inside it check USB debugging option. Under Other devices or Ports, you will find an entry of your device with the exclamation symbol like this. 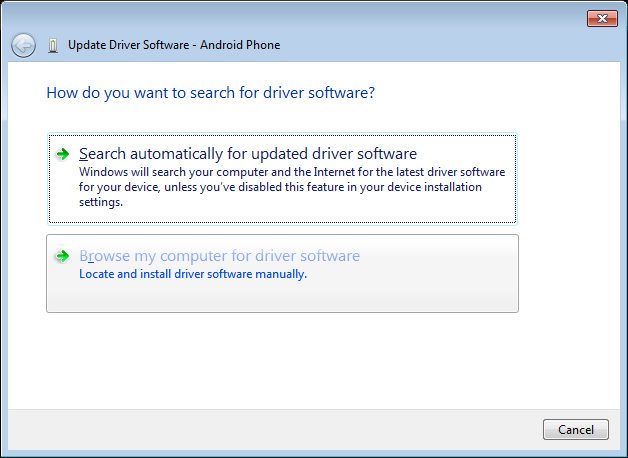 Choose the Browse option and locate the extracted folder, Windows will automatically identify the driver and install it. Make sure the computer has an active internet connection. 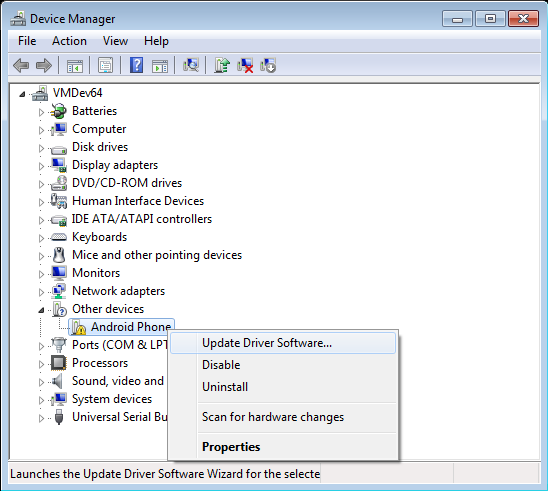 Open the Kingo root application, it will automatically recognize the device and starts installing the necessary dependency drivers. Now click on ROOT, it will automatically start downloading the necessary root files and does everything for you. It takes a couple of minutes, the phone might do some reboots in the process, don’t panic ! 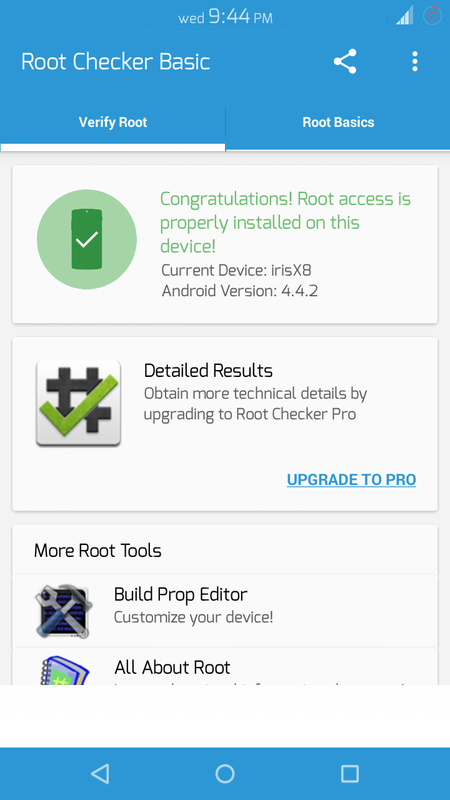 On completion, it’ll say “Root succeeded” and you will find a new Kingo root icon in the app drawer. Although Kingo root succeeded, it failed to install SuperSU in my X8. If you can’t find SuperSU in your app-drawer, follow this step. Download SuperSU from the playstore. SuperSU prompts you to install it. 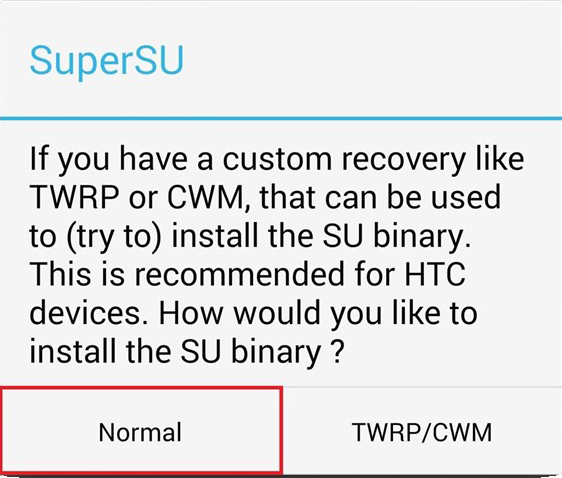 Choose Normal mode, phone reboots after the installation is complete After rebooting, SuperSU still won’t show up in the app drawer because it conflicts with the SuperSU package Kingo root tried to install, so you need to remove it. Then reboot your device and you’re done. 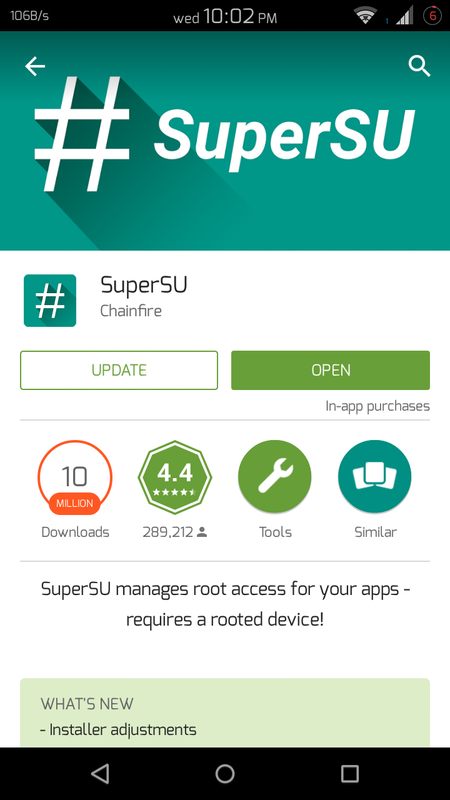 The next time an app requires root privileges, SuperSU will prompt your permission. Thanks to the folks at XDA, we finally have a custom recovery ! Place the recovery.img file in the root of your SD card. Just extract the ZIP file. Wait for the magic ring to appear ! Right now, there’s isn’t much development happening for the X8. I am currently working on porting a CWM recovery for this device. After a custom recovery has been ported, custom ROMs would soon be available, hopefully ! 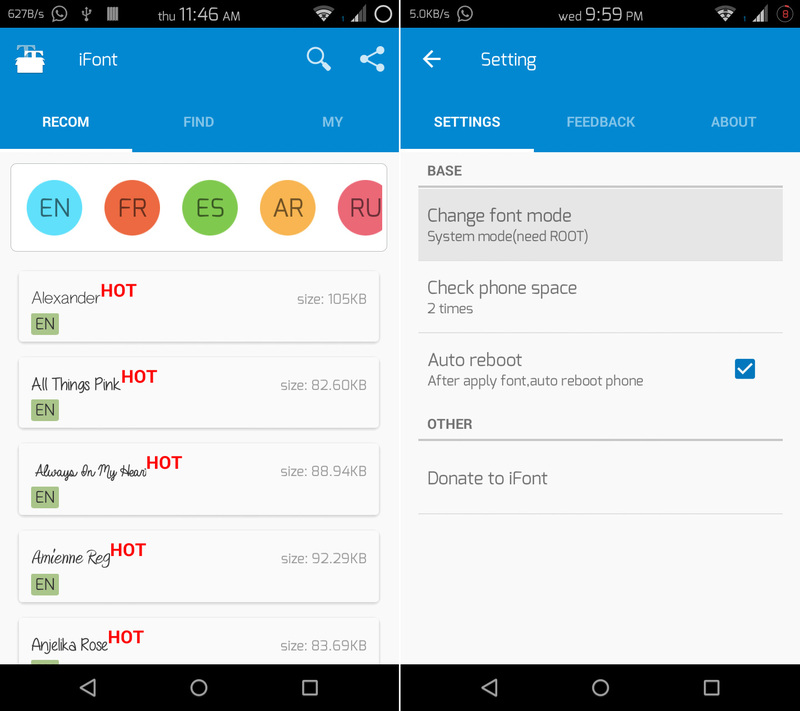 Until then, all you can do is customize the stock ROM with the Xposed Framework. Xposed framework allows you to customize the UI, system apps and provides awesome functionalities through modules that you never thought were necessary! Read here if you are interested to know how it works. The best thing about Xposed is, it does all this without actually modifying the APKs, meaning that if you uninstall the framework, you will remove all the customizations you made. 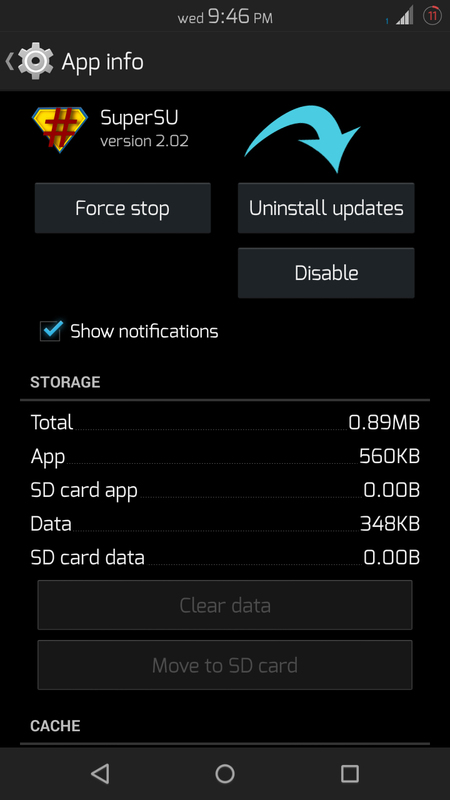 Make sure you uninstall Xposed Installer before you install the official Lollipop update from LAVA. 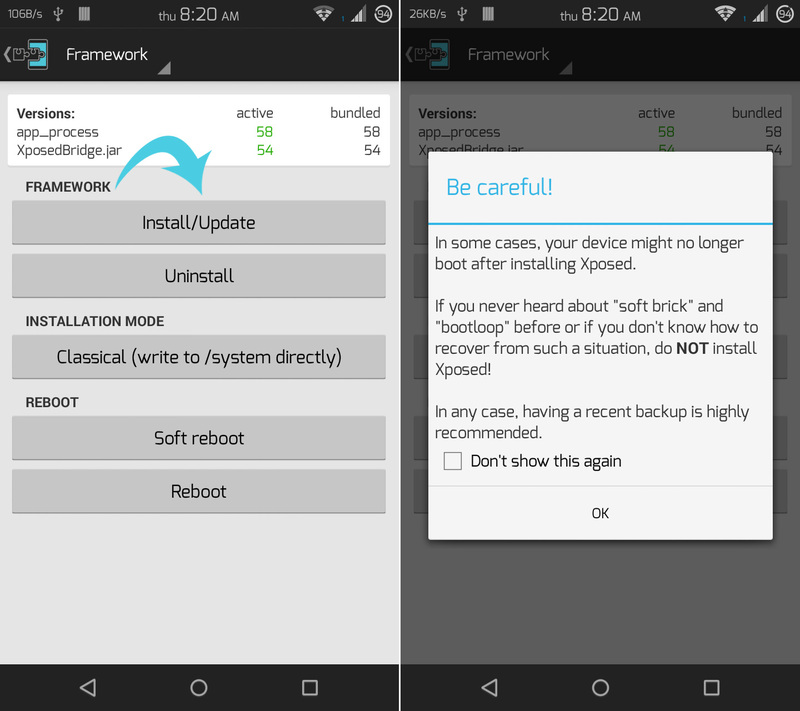 Download Xposed here Open Xposed and tap on Install/Update in Framework ( provide root access ). Don’t panic after seeing this warning message, I’ve tested the installation on my device. The phone will reboot after the installation is complete. Xposed installer does not add any functionality by itself, you need to install modules for that. Head over to Download in Xposed Installer and choose the modules of your choice and make sure you download the Kitkat [KK] version of each module. Screen-off Animation > Well, duh ! So we all chose Android because of the extent to which it can be customized ( or couldn’t afford an iphone or hated a windows phone 😀 ). 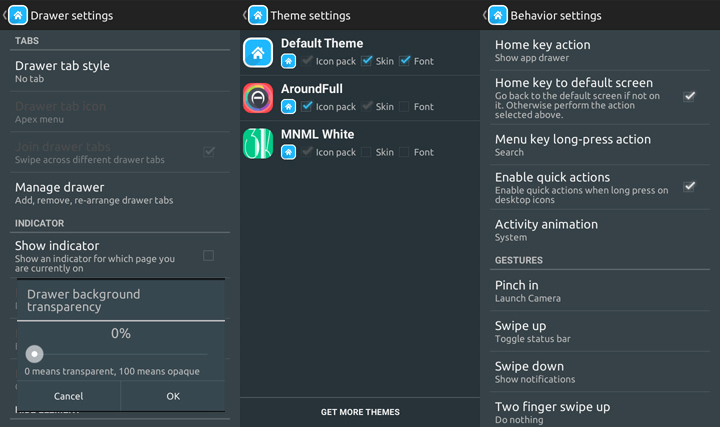 Anyway if you’ve chosen Android for the former, this is a guide to basic theming. When we get a new Android, we start off with something like this. I’m gonna be showcasing these 2 themes. The first thing we are going to need is a launcher. 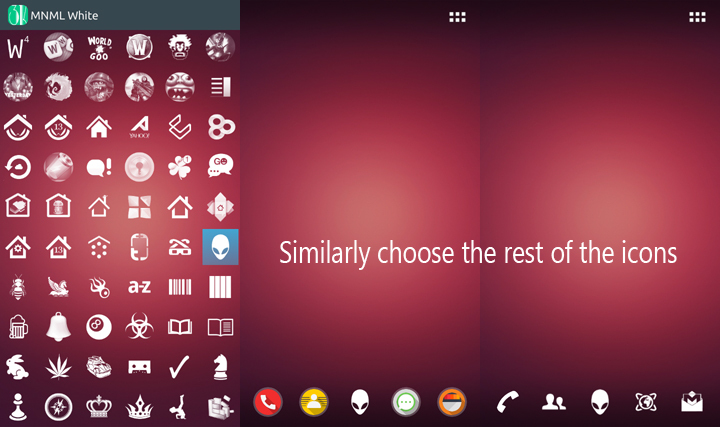 A launcher is like a replacement for your homescreen and app drawer. There are countless launchers out there and I consider Apex and Nova to be the best, because they are low-ram consuming and offer loads of customizations. Out of these 2, we are gonna be using Apex launcher. For the first theme, install MNML white and Aroundfull iconpacks. Now go to your Homescreen. Remove all the widgets. For the wallpaper, long press on the homescreen, Add wallpaper and choose Aroundfull and select the wallpaper. 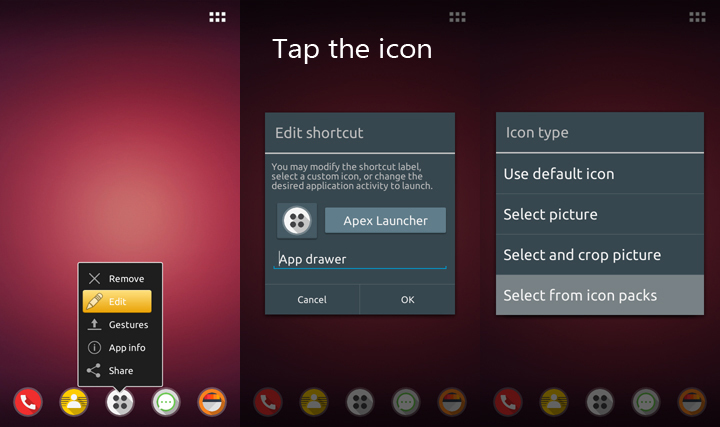 Double tap on the homescreen and select apex settings and set the options like this. Now lets theme the homescreen. 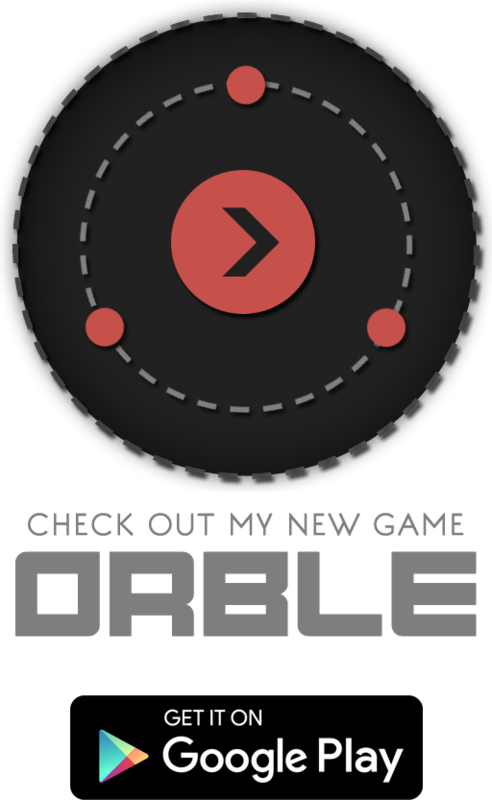 Now lets add the widget. 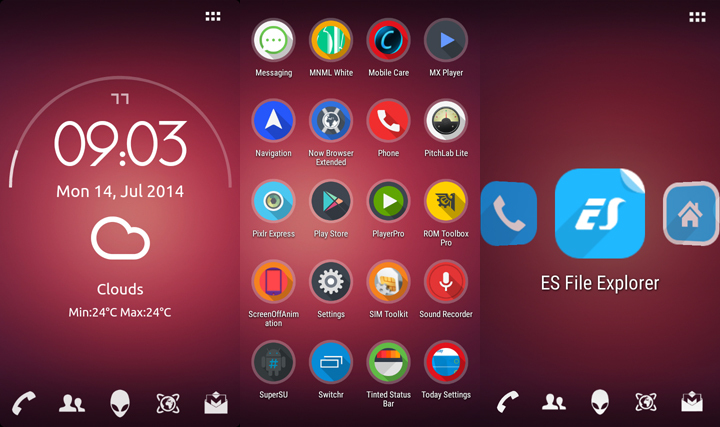 Install Zooper widget, one of the best widgets available. With this you can create your own widgets and functionalities with endless possibilities like this one. This is a widget I created for a speech recognition app. 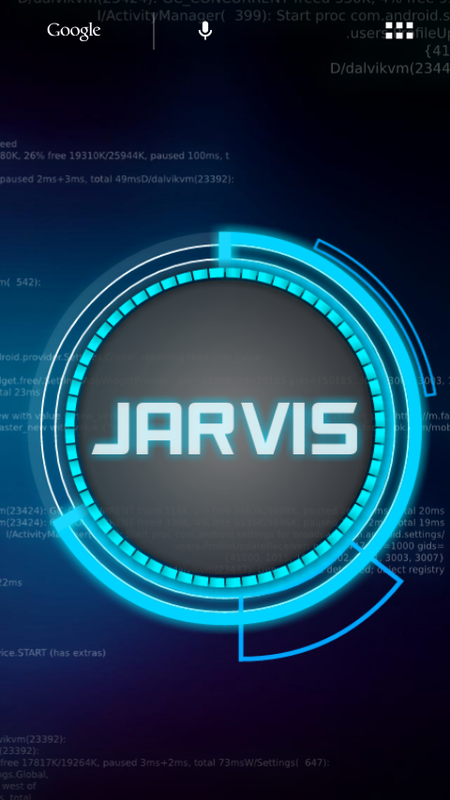 I’ll be posting on how to make this and setup a JARVIS later on. 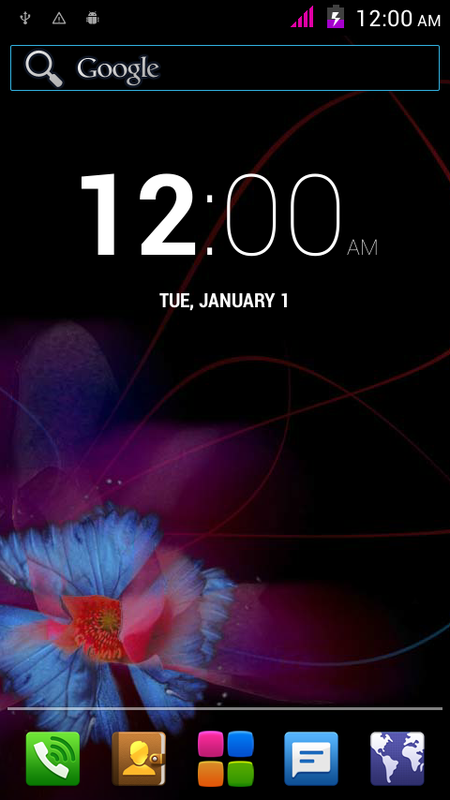 I just want to show the capability of this widget. 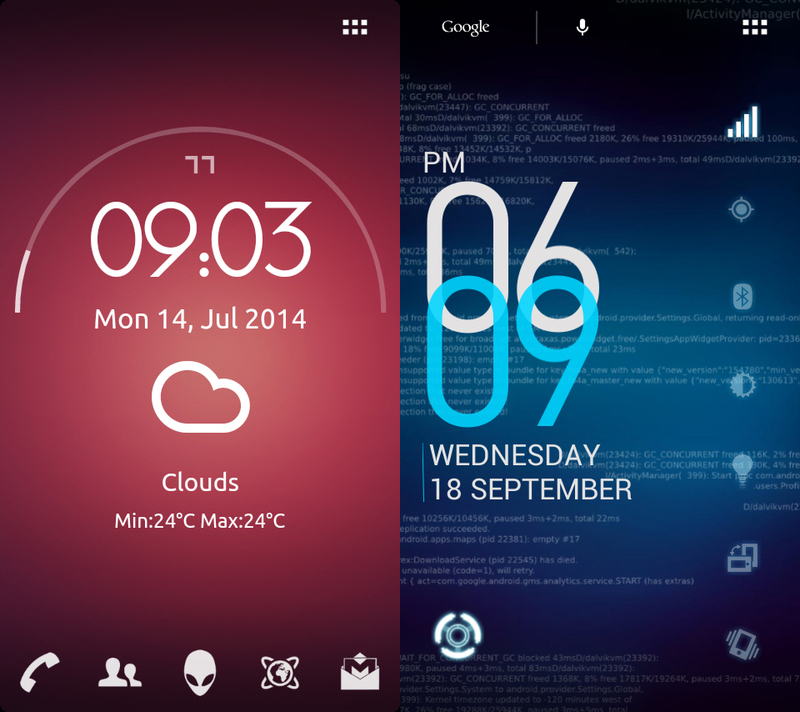 For now let’s use a user created Zooper widget called Minarch. Download both of them. Add the widget to your homescreen, you’ll find loads of built-in templates and each one can be totally customized ( fonts, value, string ). Try them out ! 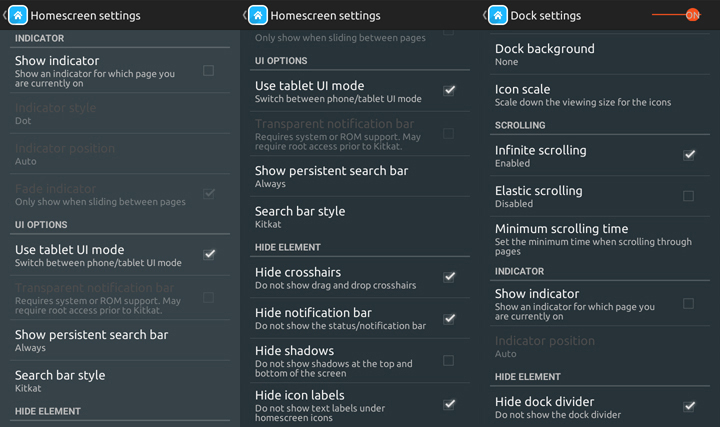 Now that you know how to customize individual elements, making this theme would be easy. For this theme, disable the dock from Apex settings. Merge the Phone and contacts app together in the homescreen and then change the icon of the folder. – To solve this, move the app /widget to Phone memory.